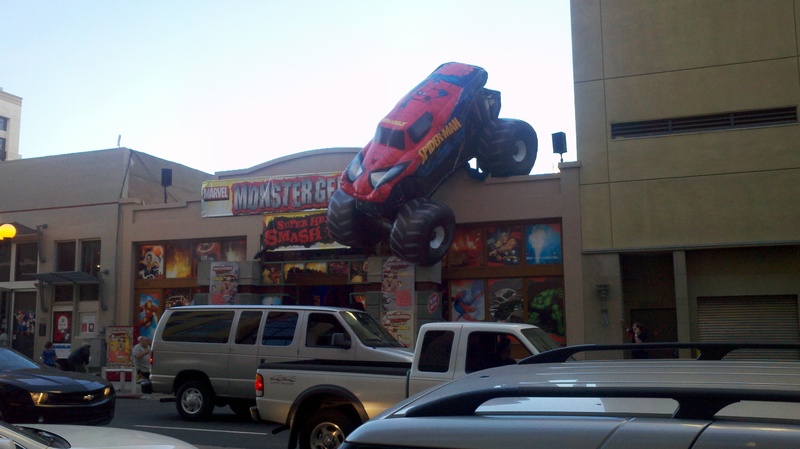 Last weekend Marvel Comics and Feld Entertainment (the company that runs the Barnum and Bailey Circus and major monster truck rallies) previewed a one-day only monster truck event to take place July 14, 2012 at San Diego’s Qualcomm Stadium. 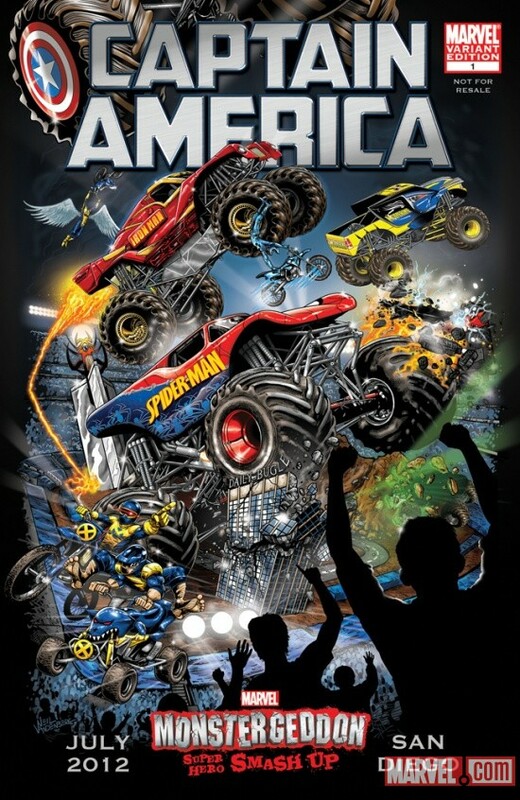 The companies plan to bring the Marvel Super Heroes to life as monster trucks in Marvel Monstergeddon: Super Hero Smash Up. As part of Comic-Con weekend, Marvel and Feld took over the Culy Warehouse at 335 6th Avenue to preview the event, including an unveiling of one of the 10,000 pound monster trucks that will represent one of the Marvel super heroes, Iron Man, created for Marvel Monstergeddon, as well as a re-created truck flying over the streetside of the building. 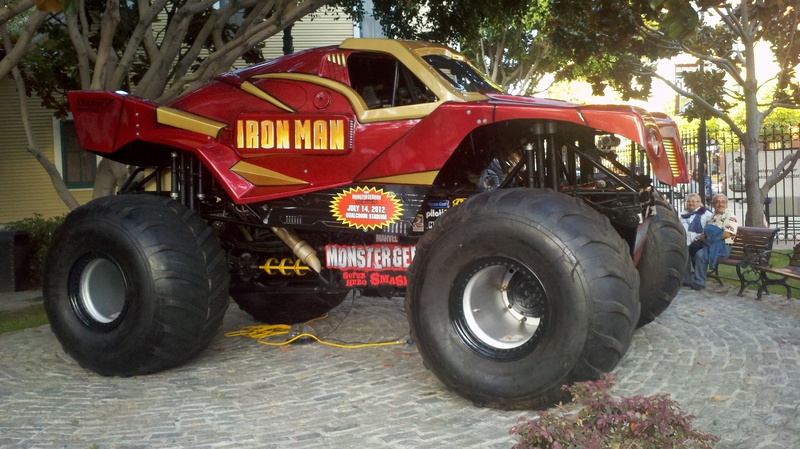 No doubt a lot of younger kids will like the Marvel/monster truck link-up. Feld representatives previewed the storyline, which will include motorsports stunts and the expected loud, destructive, monster truck battles between Marvel Comics heroes and villains. The trucks will take down giant buildings reflecting comic scenes from various comic titles, including the Amazing Spider-Man, the Fantastic Four, and the Avengers. The event will include high-tech pyrotechnics and light effects. Ticket sales began last week and are ongoing. Tickets are available through Ticketmaster, and include a $50 ticket per person with a minimum of two tickets per order (prices subject to change). Purchasers will also get a limited edition Captain America #1 variant cover comic book hand signed by Stan Lee, which might result in sales just for the autographed Stan Lee book.